Several weeks ago, I wrote “Does Poverty Cause Poverty?” based on a research report in Science magazine. The idea is simple but provocative: the shortage of money causes additional cognitive load. Worrying about how to make ends meet takes cognitive bandwidth. You have less bandwidth available to focus your mental faculties and make smart decisions. The authors compare it to trying to make informed decisions after going a night without sleep. Thus, poor people and poor decisions go hand in hand. Poverty causes poverty. I’ve now discovered that the authors, Sendhil Mullainathan and Eldar Shafir, have written an entire book on the subject: Scarcity: Why Having Too Little Means So Much. It’s not just about poverty but about scarcity of all kinds. When you’re faced with scarcity – whether it’s money, time, food, influence, or space – you spend some amount of your cognitive bandwidth figuring out how to deal with the issue. If you don’t have enough “pull” in the office, for instance, you’ll need to spend some amount of time devising a strategy. You may study the arts of persuasion, or form alliances, or give generously to the boss’s favorite charity. While you’re doing any one of these things, you’re not increasing your influence. You’re merely spending precious cognitive resources plotting how to increase your influence. I’ve sensed this when I have too many things to do and not enough time to do them. (Sound familiar?) I used to agonize over which task to do first. What’s the highest priority? What should I do first? What should I do second? I might even make up a list. Then it dawned on me that, while I was doing all these things, I wasn’t accomplishing any of my priorities. I was using cognitive resources planning rather than doing. Now I just flip a coin and get to work. Instead of eating food, you’re eating bandwidth. You only have so much cognitive bandwidth and you’re using some of it to calculate calories, make trade-offs, and perhaps even chastising yourself. You have less bandwidth left over to make wise decisions. 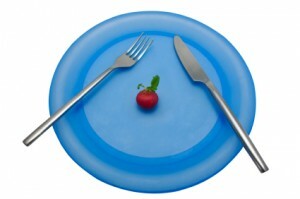 Mullainathan also reports that lack of bandwidth can hamper your resolve to diet. In an experiment, dieters were divided into two groups. One group was asked to remember a seven-digit number, the other group only a two-digit number. They were then offered a choice between fruit salad and a cake. The first group – with less bandwidth – was 50% more likely to choose cake than the second group. I suppose the moral is to preserve your bandwidth. And, in fact, if you don’t have a lot of bandwidth you don’t need to read all of Scarcity. You can preserve bandwidth by reading a nice summary here. Thank you for sharing yet another interesting article, Travis. Your blog is one of those I subscribe to and actually read . . . and I’m glad I did, once again! Hi Melissa — thanks so much for your comment and your compliment. Coming from a polished communicator like you , it means a lot to me. Hi Barb — You could lose a lot f IQ points and still be a smartie!